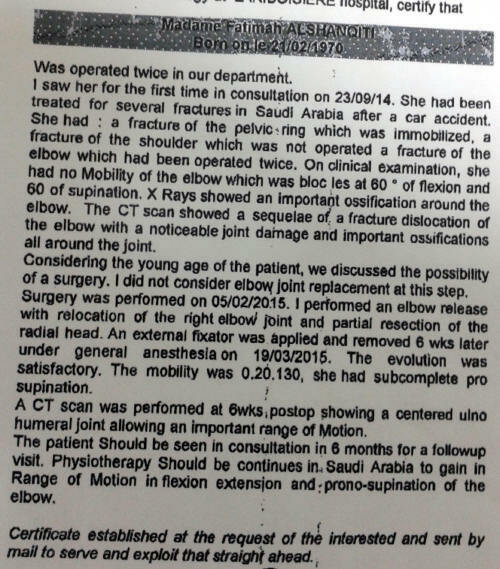 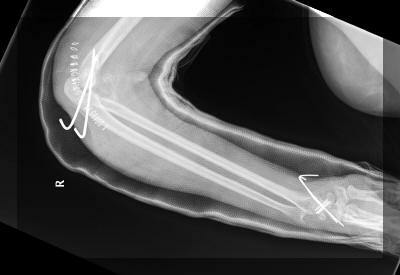 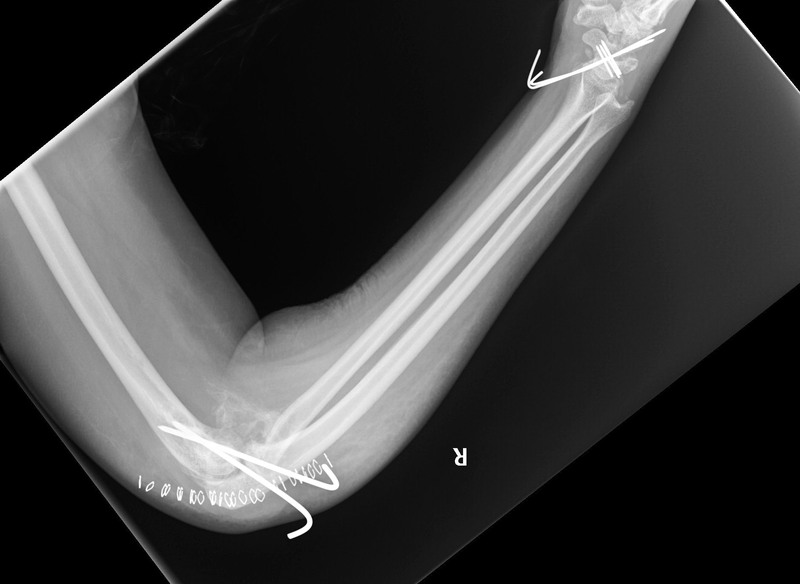 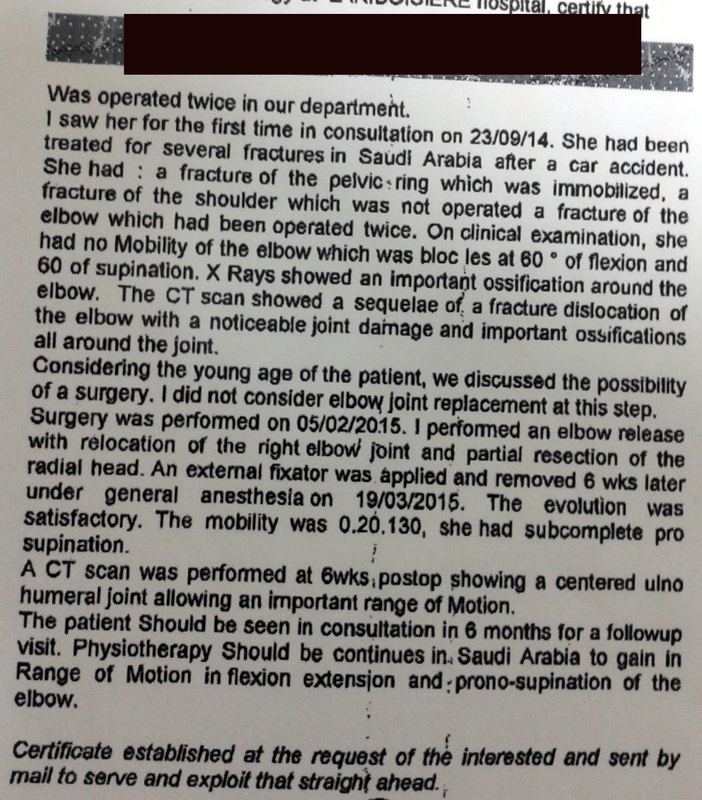 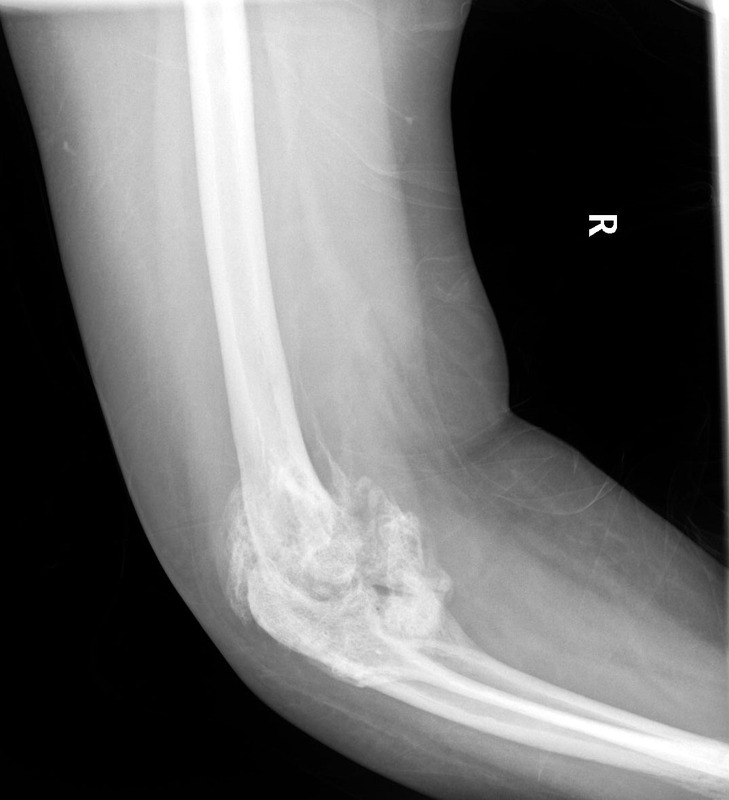 47 years old Polytraumatized female involved in a mass RTA resulted in multiple fractures and dislocation of the right elbow . 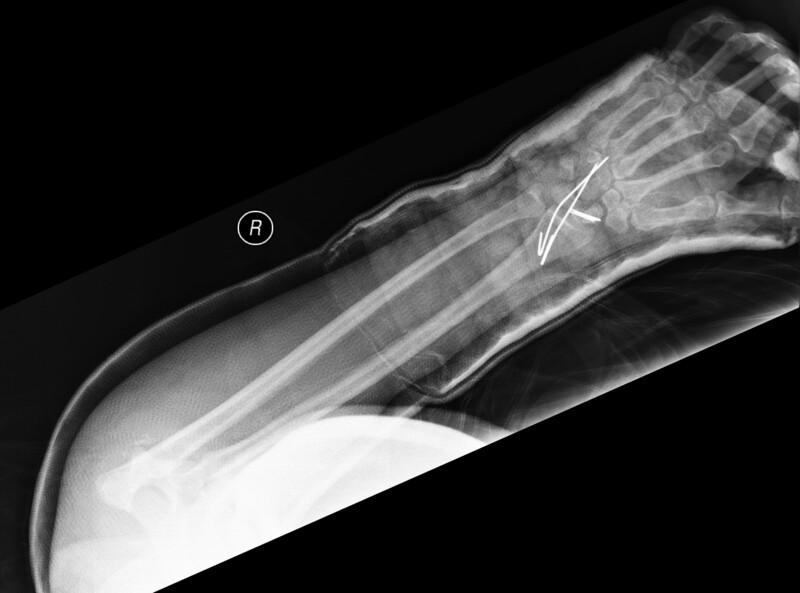 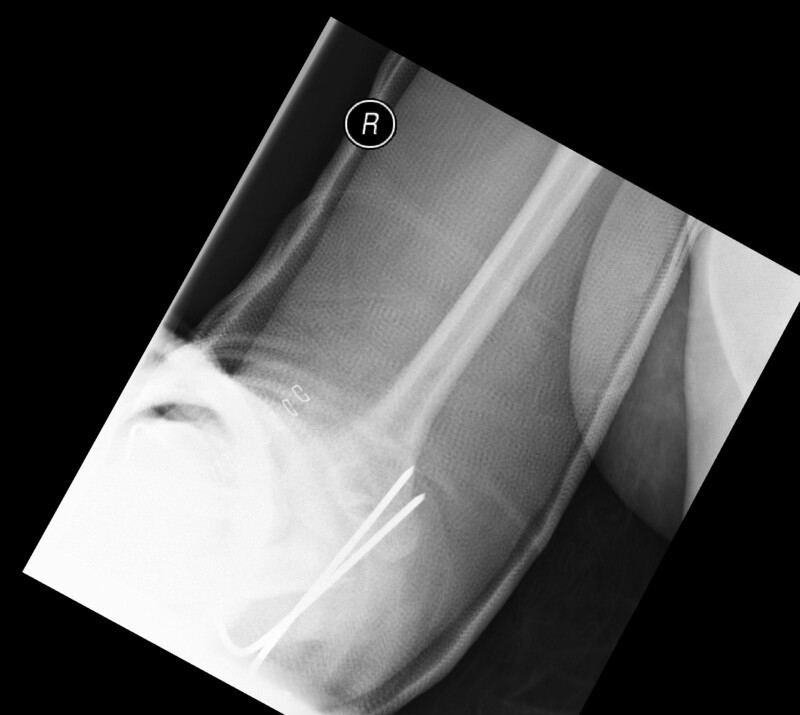 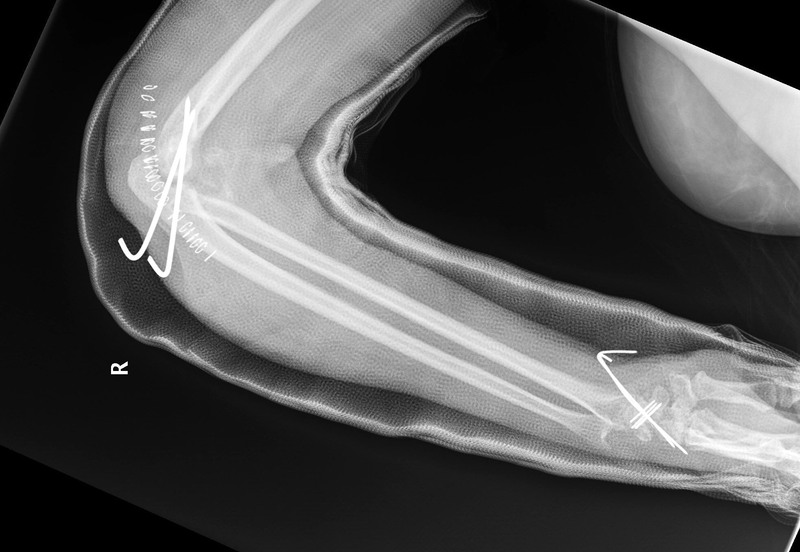 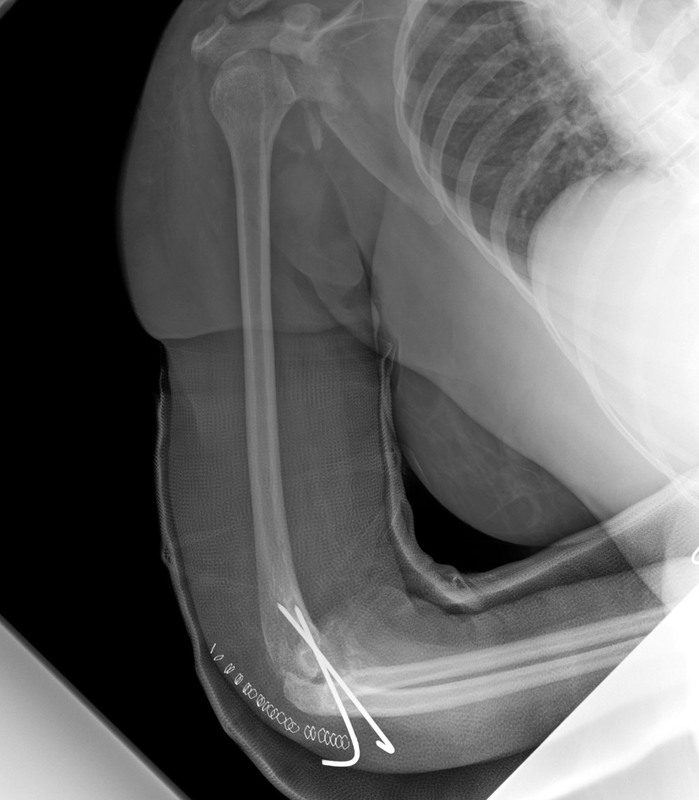 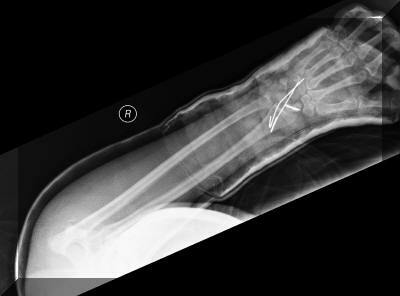 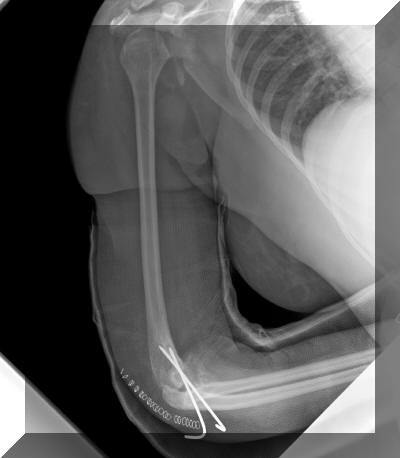 The dislocation was reduced by closed reduction and k- wiring. 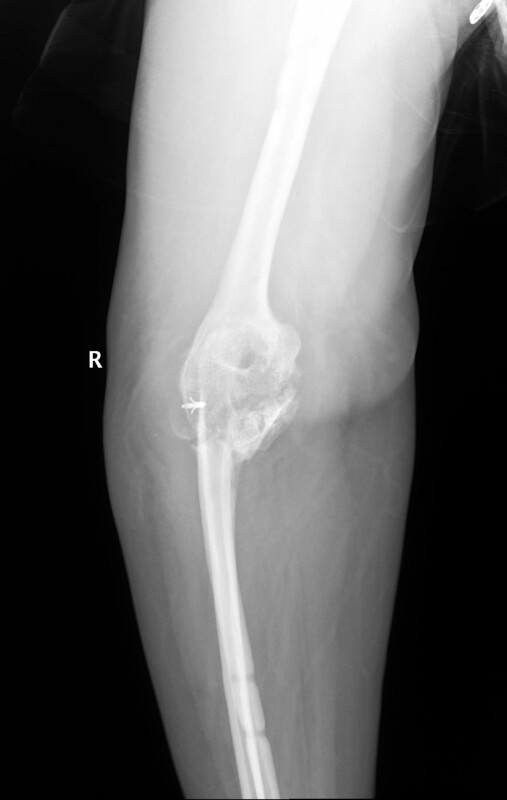 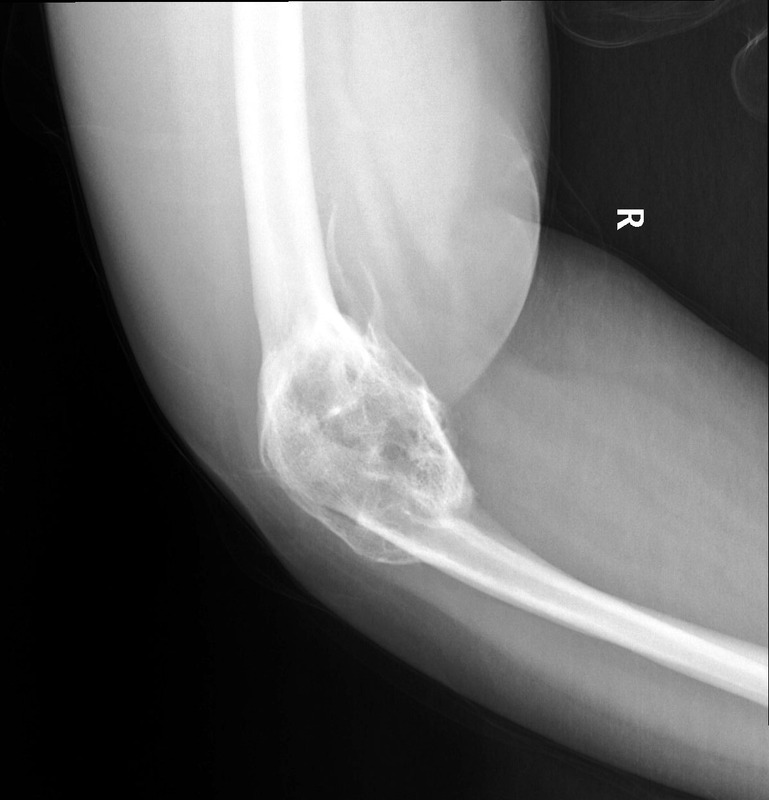 During the follow up period the elbow seemed to gain myositis ossificans around the joint. 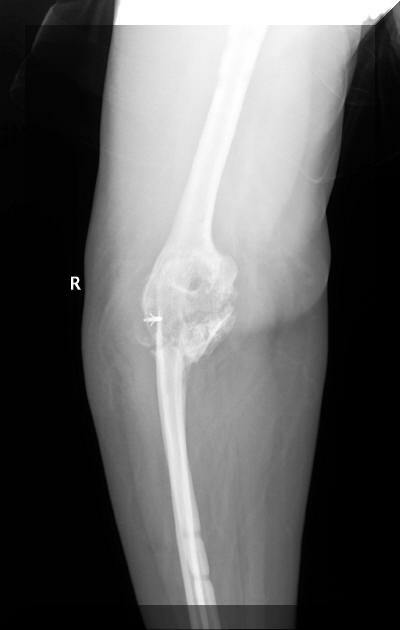 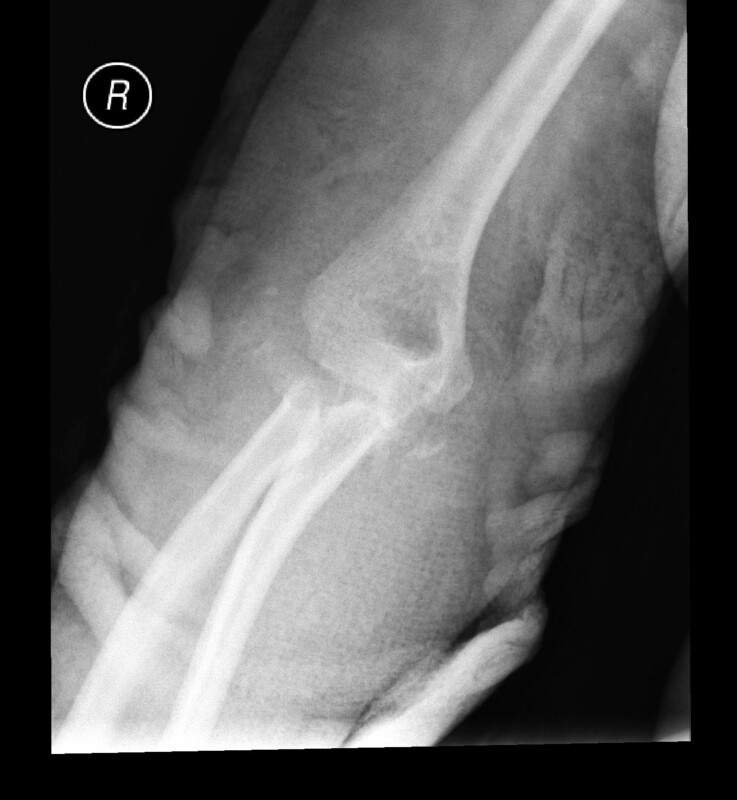 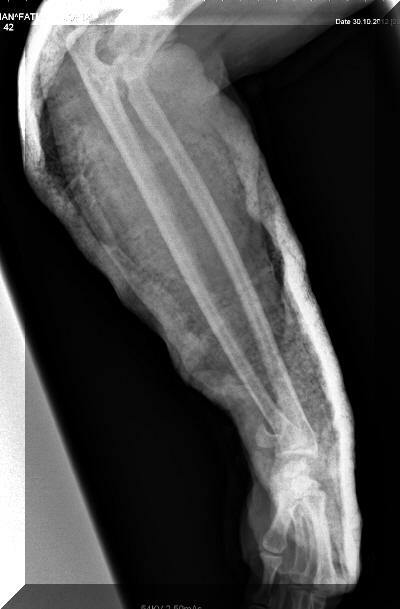 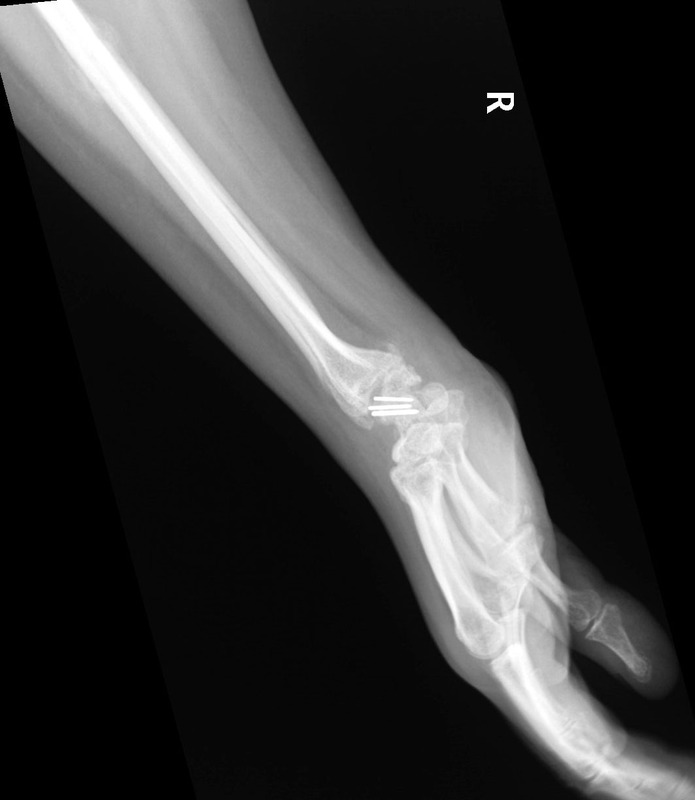 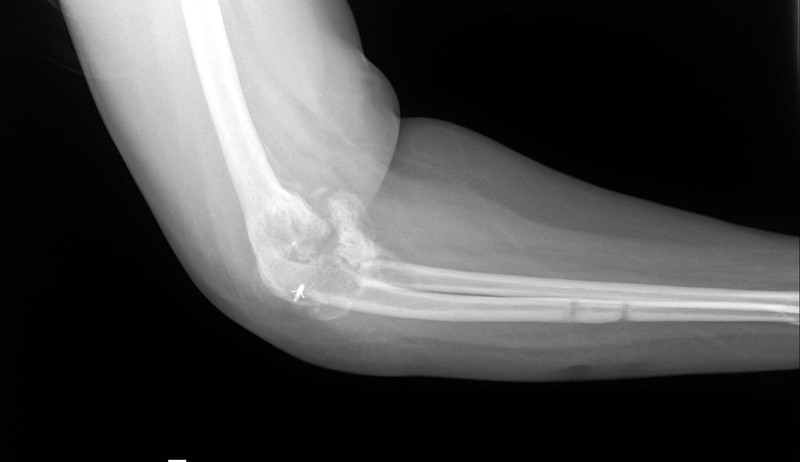 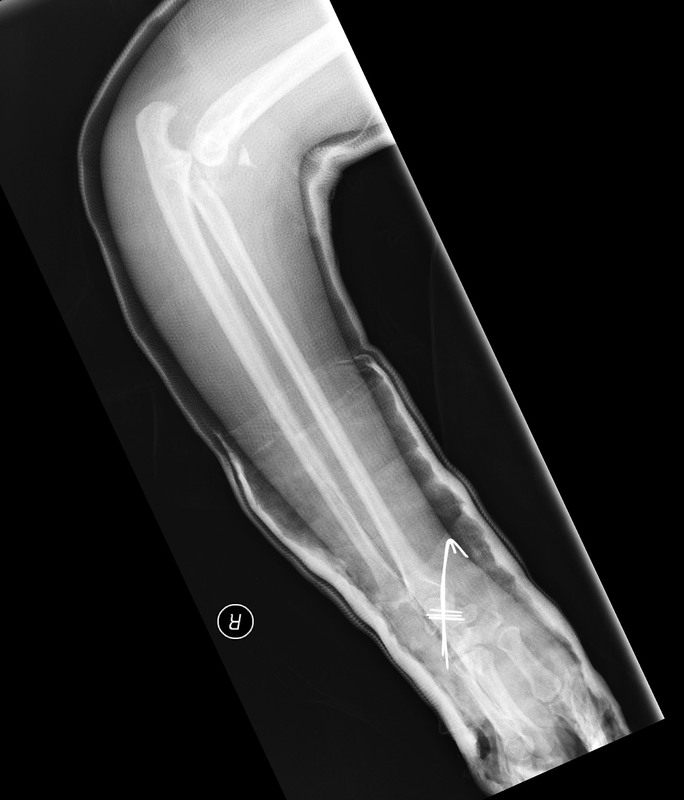 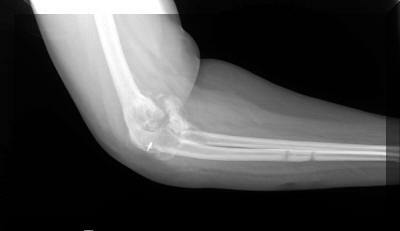 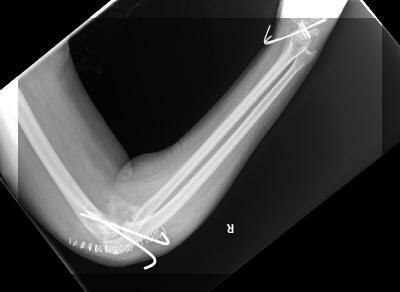 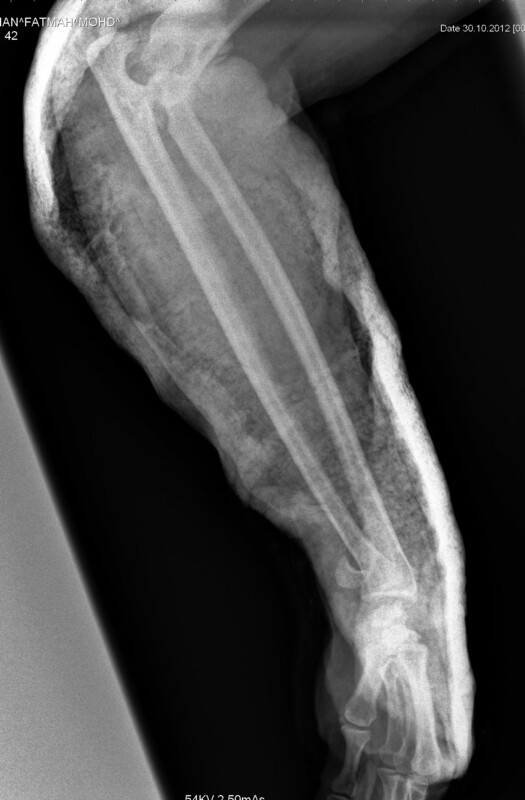 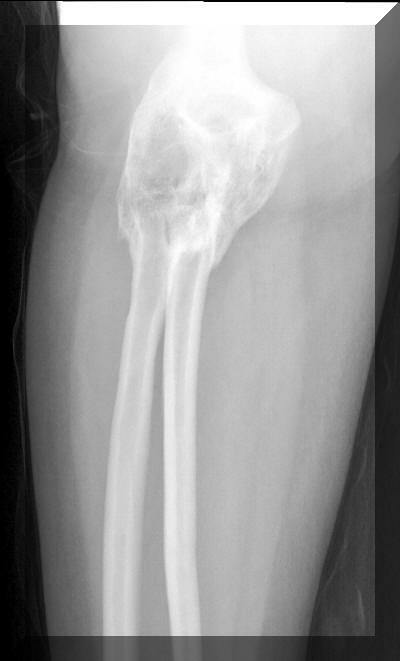 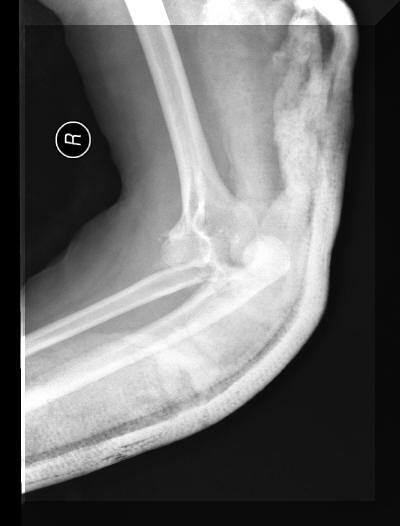 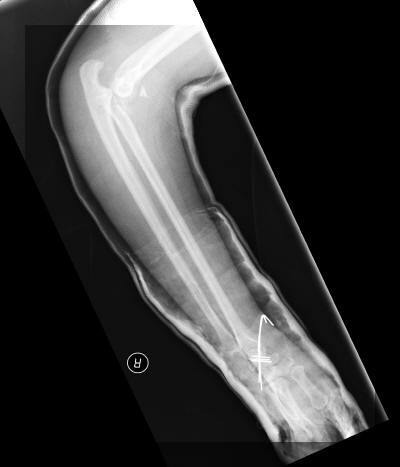 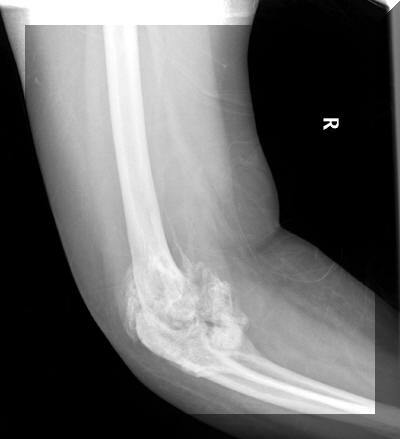 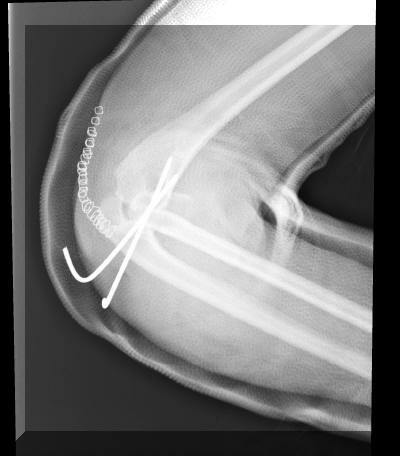 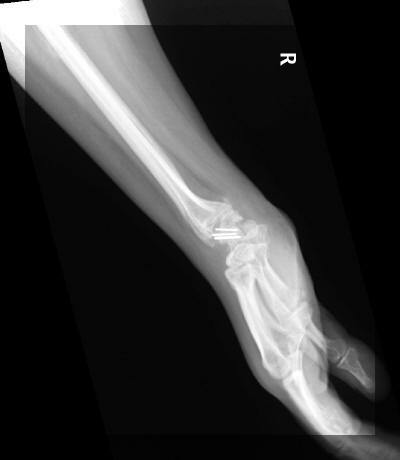 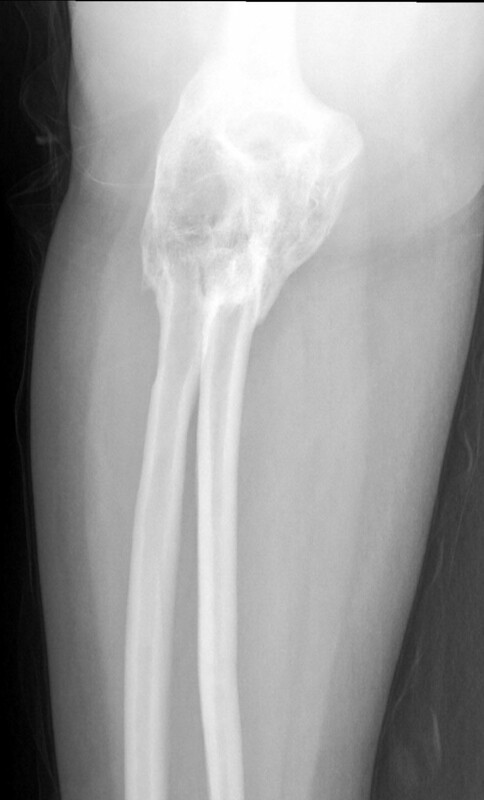 The elbow movement was completely stiff in bony ankylosis. 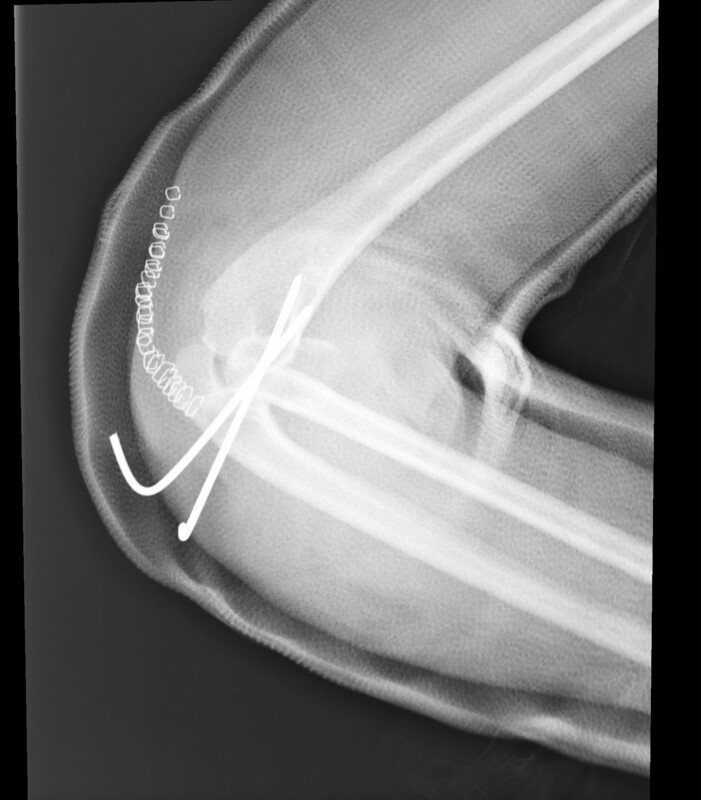 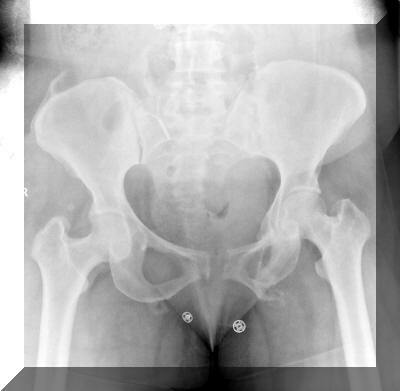 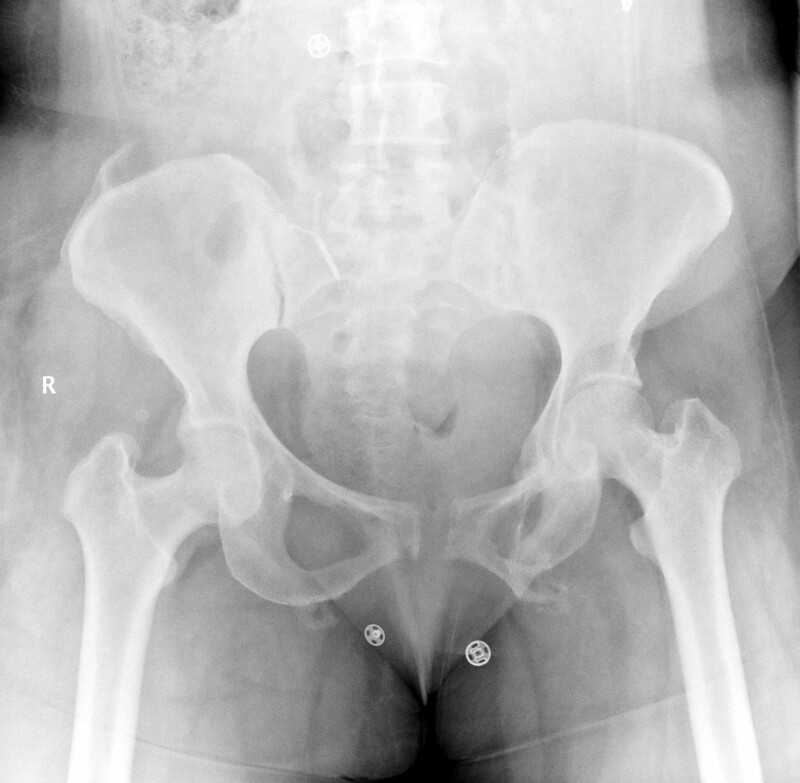 She was operated later on ( somewhere else ) by arthrolysis.